Rudi Daniel is a Senior Technology specialist and operates as a self employed Consultant. Trained as a Research and Development engineer within the Defense Electronics Industry of the 70s and 80s. Rudi has worked on many complex future technology projects whose clients are the Armed forces of the world. He has also completed assignments in North Africa for Techint-Fiat Engineering arm to train supervisors in technical management and international Standards Rudi Daniel has subsequently worked with many Original Equipment manufacturers and is a Senior Design and documentation expert with knowledge of European, British, ISO and International Standards. He holds a Higher National certificate in production and Mechanical Engineering with Advanced Technicians Diploma in Operations Management from North East London University. 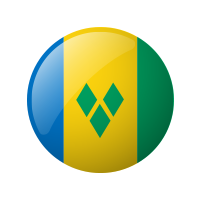 He now resides in St Vincent & the Grenadines and participates in all aspects of ICT and regional Internet Governance initiatives. Rudi has completed projects in the last 24 mounts for The Organization of American states and the European Union Sfa 2005 Incubator project. Both projects were within the OECS region. implementation for development not often encountered in the Caribbean Region. He was Member of the SVG Government's ICT advisory forum (2 year appointment), is member of American Registry of Internet Numbers, member of Caribbean Virtual ICT stakeholders Community and participating member of ICANN.